Hello, and good morning lovely Gingerscrappers! Today is October 1st, and that means you’re in for a great bake sale, a new buffet, new daily download, and even a new monthly mix! It’s going to be a wonderful month! October is all about getting ready for the cooler times, Halloween, and watching the leaves change color. 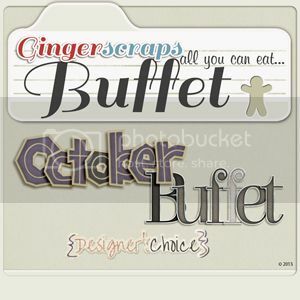 There’s a little something for everyone in this month’s buffet, which is another Designer’s Choice! We have NEW Buffet options!! You asked for it, and we listened! The GS Buffet will now included FULL size kits!! In addition to the mix and match packs, you can now also find full size kits in the buffet section. The price point has been adjusted accordingly. Everything in the Buffet will always be $4.00 and under. Every month the new Buffet items will all be 50% off (from the 1-5th of the month). That means Full kits for $2 and a ton of mix and match packs all for $1!! You will not want to miss this! The designers all had their own take on what the colors said to them! I love the variety! The designers knocked it out of the park. The designs are just amazing and so well done! This is just a few of the layouts. Keep an eye out in future newsletters to see more. Maybe even one of yours, if you make sure you put it into the Buffet section of the gallery! It’s time for the monthly Bake Sale!! This month’s Monthly Mix is called “All Treats, Not Tricks”. It’s a kit that definitely celebrates the fun things about Halloween! Nothing too spooky with it! It was collabed between Colie’s Corner, Pixelily Designs, Katie Creates, Aprilisa Designs, and Chere Kaye Designs. I’m so excited to show you this month’s daily download. 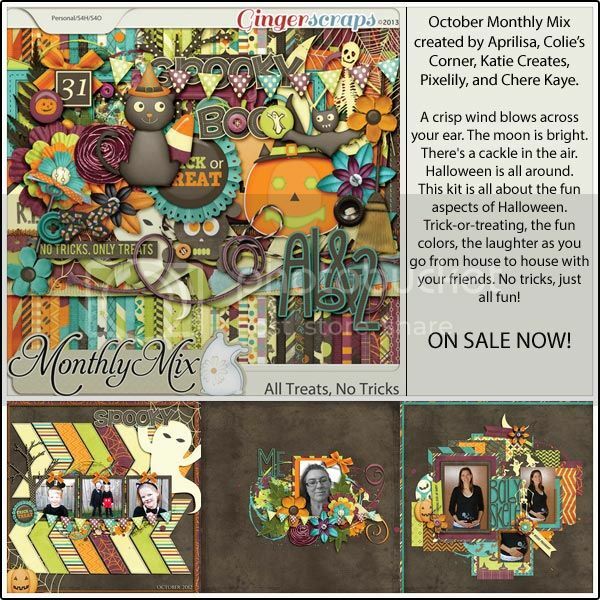 Before I do, if you missed any piece of September’s kit, created by the wonderful Chere Kaye Designs, it’s available in the store now! Remember, when you spend $10 in the store, you get a great grab bag! 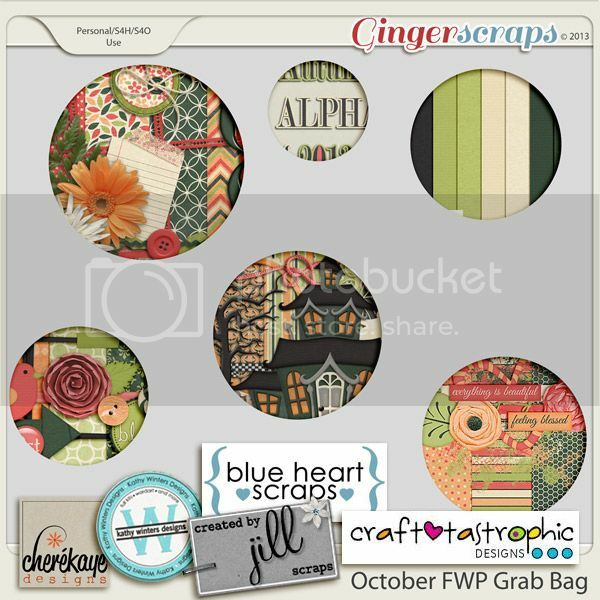 This month’s was created by Created by Jill Designs, Chere Kaye Designs, Kathy Winters Designs, Craft-tastrophic Designs, and Blue Heart Scraps. Can you guess where we will “travel” this year? The first 3 people to post the correct answer will get the seasons official kit for free! This years kit was created by Connie Prince and Trixie Scraps. It is an awesome collab! Even if you do not plan to play along in the Scrapping Survivor competition, you will still love this collab! Make sure your guess is in the correct thread, or it will not count! Information, terms, etc, are also available! We at Gingerscraps hope that your September was wonderful, and that your October is full of plenty of scrap-worthy moments! *whispers* Halloween is coming soon, and I can tell you that the designers are SO getting into the season! We’ll see you again on Friday for your regularly scheduled Fresh Baked newsletter!